European Commission consultation: the Commission is consulting on applying excise duties (i.e. tax) to vape products and other reduced risk alternatives to smoking – see here for consultation page with online form for interested parties to complete – please do add your response. So, after months of hearing about the things, Philip Morris have today launched their iQos ‘heat not burn’ system in the UK (albeit only in London). The press have avidly taken up the story, most probably due to PMI CEO Andre Calantzopoulos dangling the media-friendly suggestion that the global company “could stop making conventional cigarettes”. This is not a new claim, there have been a lot of articles recently where he has been interviewed about this new stance, it’s just something the British press has only now picked up on, presumably from the PR. Lawyers are being advised that despite tobacco companies winning a victory against a class action lawsuit this week, the future opens up a potential for further claims to be made against them – and independent companies. Could Synthetic Nicotine Save Vaping? This means that e-juice is a “tobacco product” because the nicotine used is “made or derived from tobacco.” Devices and other vaping products are classed as components, parts or accessories. Smokers who would like to quit are wanted for a randomised controlled clinical trial in Glasgow. Doctors and scientists funded by the British Heart Foundation (BHF) are looking for 100 healthy volunteers to take part in The VAPOUR Pilot Study. The study aims to investigate the short-term effects of electronic cigarettes in comparison to nicotine replacement patches on the blood vessels and lungs. The prevalence of vape shops has increased dramatically in recent years. Yet, few studies have examined the smoking/vaping behaviors and vaping preferences of vape shop customers and reasons they patronize vape shops. The present study seeks to address this gap. 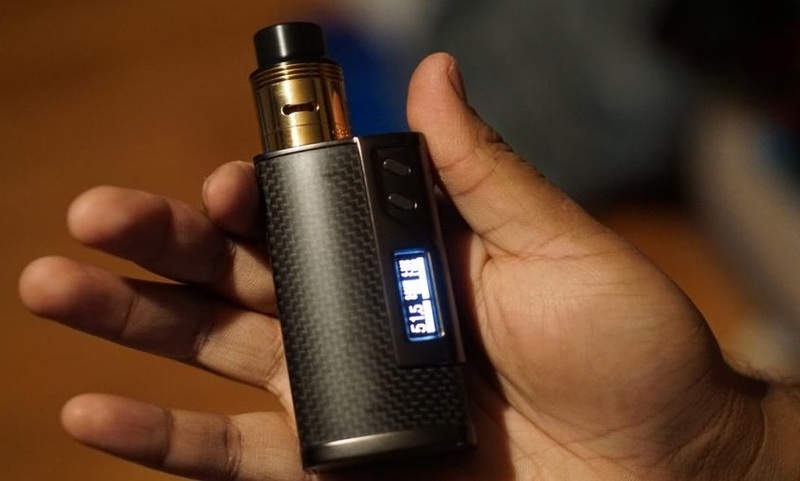 A public health official at Nottingham City Council launched a plea asking all employers to differentiate between smoking and vaping, and to allow any vaping employees some time off to use their electronic devices when required. Permitting E Liquids and E Cigs with Limited Nicotine. Currently, in Australia, all nicotine-containing products must be approved as “registered” medicines in the Australian Register of Therapeutic Goods before they can be marketed. No approval has been granted to date. I attended two events in London yesterday which highlight just how much the free market is leading the way in tobacco harm reduction. The first was a reception in Strangers’ Dining Room in Parliament, hosted by Philip Morris International (PMI). I was pleased to see many different senior MPs in attendance, from both sides of the House of Commons, including some Ministers and former Ministers that you wouldn’t usually expect to see at a tobacco event. Why would a vaping organization be considered as a charity some might ask. In the press release to announce this event, AVCA said “This development will allow us to continue the work we are currently doing and expand upon it to deliver our mission of Educate, Inform and Advocate throughout New Zealand. The theme of GFN 2017 is ‘Reducing Harm, Saving Lives’. The programme will include plenary sessions, symposia, panel discussions and poster presentations – including video posters. When submitting an abstract, please indicate the category of presentation you propose. Could vaping help smokers lower their blood pressure, and avoid weight gain after quitting? If so, by switching from cigarettes to vapor products at an early age, smokers might be able to greatly reduce their risk for heart disease later in life. A new study looked at patients with hypertension (high blood pressure) who smoked cigarettes only, vaped only, or reduced cigarette use by also vaping. In Wales today, the health committee studying Mark Drakeford’s dangerous ignorance-based policy-making published a report giving their findings. Trust me, you will struggle to comprehend what some of these political raving moonhowlers actually believe. The report is 157 pages long and it has to be said that the committee was split on all items relating to e-cigs. In any sensible legislature this should mean that there really is no compelling case to restrict liberties and property rights to such a massive degree. However, we are talking about Wales where some politicians seem to have had their water poisoned with a heavy dose of mercury…. I was reflecting, earlier today, upon the post I made about the EU’s Tobacco Products Directive. You know a piece of legislation is bad when you can pick holes in it with such child-like ease that you can even do it whilst you’re doing something else at the same time. So it seemed relevant, given that the 2015 Paris Climate Conference (COP21) is currently underway, to mention a couple of things here….